Eczema is a very common skin condition and can take a number of forms and so finding an eczema home remedy can be useful for whatever type of eczema you have. Prescribed medications can be expensive, not to mention they can give you side effects. You will quite possibly have a number of natural ingredients around the home that you can use to treat the symptoms of eczema. There are a number of foods that can be applied to the skin to ease symptoms as well as foods for your diet that can reduce eczema. There are also a number of herbal extracts that are made into solutions to treat eczema. There is no cure for eczema and no prescribed or natural remedy will cure it. However, there are many eczema home remedies that people use that are so effective you barely notice that they have eczema at all. You can visit your doctor and ask for prescribed medications but remember that each time you visit your GP it will cost you and over the years it can get quite expensive. Oatmeal is one ingredient that is widely used to treat a range of skin conditions and it is quite effective at reducing the appearance of eczema. When you apply warm oatmeal to your skin it will help to moisten the skin and it can also help to relieve itching. Many people flock to the Dead Sea to treat all sorts of skin related conditions. The ingredient in the Dead Sea that is healing is the sea salt and this can be simulated at home. Fill up the bath with warm water and add some sea salt and relax! If your eczema is in a small area you can use a bowl to mix some warm water with sea salt and apply to the affected area. Honey is another eczema home remedy that you will possibly find in your kitchen. There are a number of different methods for using honey including adding it to a warm bath, an unscented lotion or an oatmeal mixture and apply it to the skin. If you apply honey directly to the skin on its own it will be quite sticky and messy so it is much easier to mix it with another ingredient. Taking a walk outside in the warm sunlight can also help with eczema. The light from the sun has healing abilities although you don’t want to be in the sun long enough to become burnt. Tanning beds can also give the same results so when it is cold outside you can visit the nearest tanning salon to get your dose of sunlight. Applying ointments and pastes to your skin is not the only way to treat eczema. Changing your diet can also make a big change to the severity of your skin condition. Eczema is not necessarily related to a food allergy, however there are some foods that can slow the body down which makes it more difficult to deal with things like eczema. There are also some foods that have healing properties that you can add to your diet. Sugar can cause eczema to flare up so try limiting the amount of sugar in your diet. Children especially tend to eat way too much sugar these days which doesn’t help skin conditions like eczema at all. If you do have a food allergy then it could also cause your eczema or make it worse so avoid any foods that you are intolerant to. 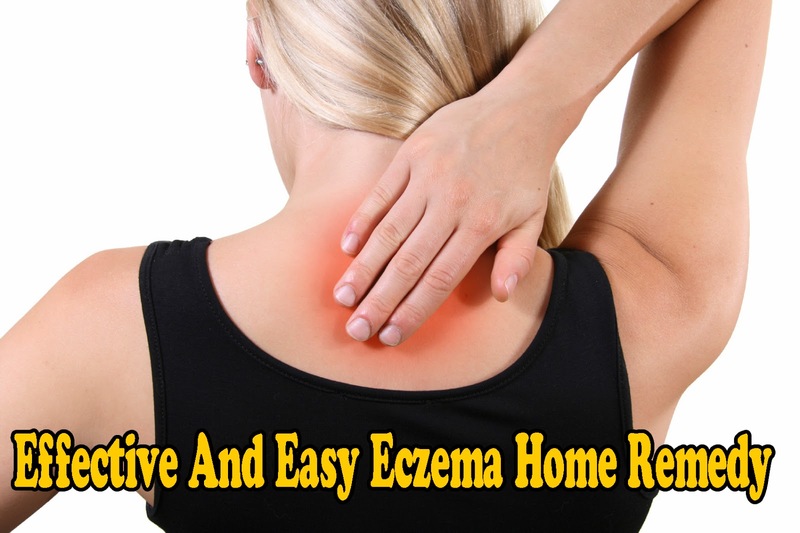 Although there is no cure for eczema and it may flare up at any time during your life, some simple eczema home remedy solutions can help reduce the severity and make dealing with your eczema much easier.